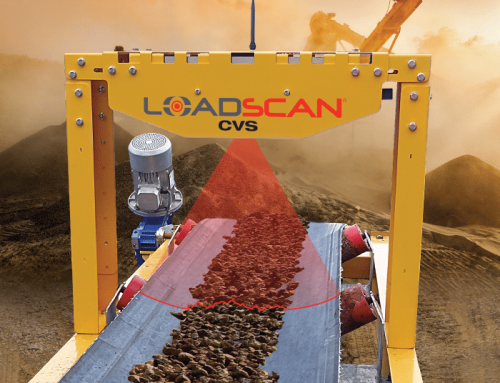 iSeekplant interview: Loadscan – A step-up in load measurement for Australia’s contracting industry. iSeekplant is a plant hire search site that also hosts a great industry blog. 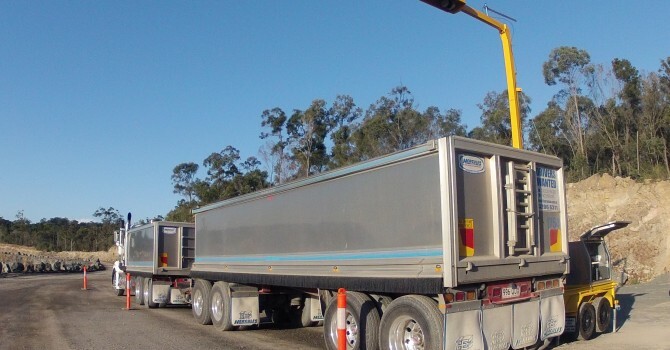 Always keen to keep up to date with the latest technology, Sally McPherson at iSeekplant spoke to Paul Soden and Richard Lindsay (our Australian based product managers) about what makes Loadscan such a ground-breaking technology for trucking in Australia. Sally: What is the technology behind LoadScan? Richard: The lasers and software are the driving force behind the technology. There are two lasers scanning the load – scanning speed and width of the truck. There is an algorithm that converts the scan data into load volume data and provides 2D and 3D scan imagery. 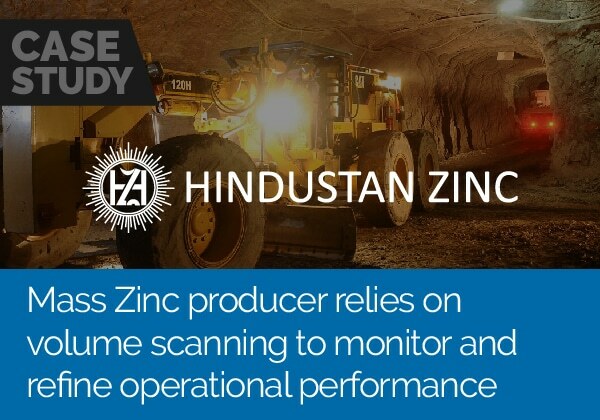 We have a really simple, user friendly interface with our software – so load volumes are measured and data made available to the client in real-time. Detailed and customised load reports can then be created through our reporting software eliminating the need for spending hours sorting through truck load dockets. Sally: How does a usual weighbridge differ, explained for the laymen? Richard: So, a truck would usually drive onto the weighbridge platform and stop to record a total weight of the truck and trailer in tonnes. With LoadScan – the truck drives under the scanner at 5 KPH and it takes a volumetric measurement in cubic meters for each truck and trailer. Sally: What are the benefits of a scanner system, like Loadscan, over a weighbridge? Richard: Well, weighbridges are expensive, they cost quite a bit to procure, then install (including earthworks associated). 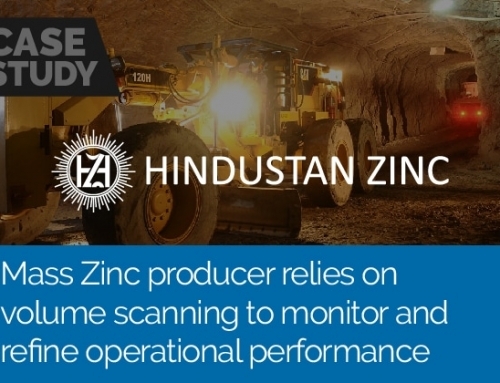 They have sensitive parts such as loadcells that require ongoing maintenance and need to be calibrated regularly to ensure accuracy. 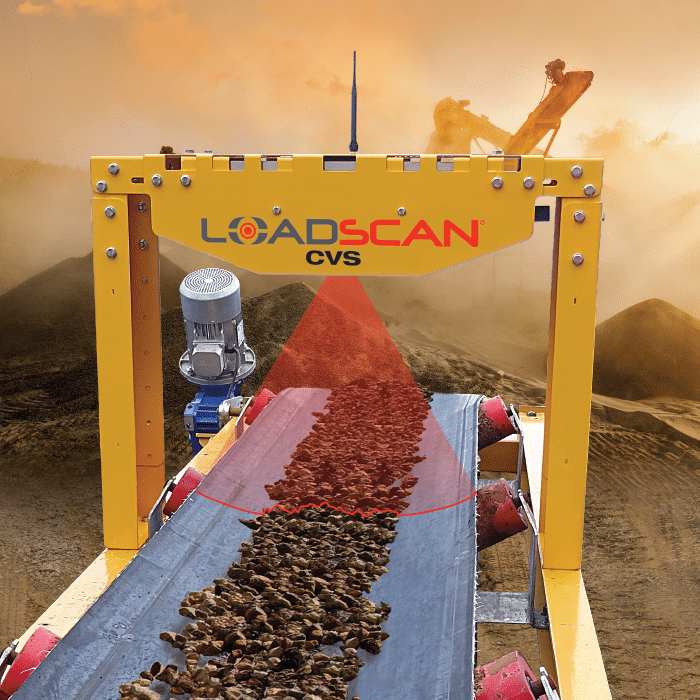 They can’t be set up quickly, and they’re not portable like the LoadScan systems. LoadScan by comparison – is a cost effective solution, cheaper to buy, not a huge requirement for site area and you can hire as well for shorter periods of time. Less set up, no ongoing costs, no need for calibration or servicing. Sally: These LoadScan units look relatively portable? Paul: Very portable – one of the systems in on a trailer, you can take it from site to site. If you’re a civil contractor doing multiple projects around town, or a local council for example – you could set it up on a site one week, move it to your other site the next week. Sally: How does the overall cost of LoadScan compare to that of a weighbridge? Richard: LoadScan is about half the cost of a weighbridge to the contractor, with no maintenance or ongoing calibration or certification costs, limited installation or transport costs to site and can be set up virtually immediately. Sally: And the accuracy of the scanner? Richard: Well, The LoadScan systems are trade certified by the NMI (National Measurement Institute) so accuracy is better than 1%. Paul: This has been the big thing since we’ve released the product in Australia – is that it is ‘trade certified’ here in Australia. So you can be guaranteed a result. Sally: So it’s cheaper, faster, easier to use, portable and certifiably accurate. Why would anyone continue to use a weighbridge? Paul: Probably because it’s all they’ve ever used. We are talking about a cultural change within the industry – where everyone had to deal with weights because that was the only certified unit available. Now – we are talking about implementing volume scanning which talks in a certified volume in cubic meters – so it’s a bit of a cultural shift amongst both haulage contractors, civil contractors and quarries to change how they both quote and measure loads. Sally: How does Loadscan make pricing easier? Sally: What I’m hearing is that you need to affect a little change within contractors in terms of how they price work – if they are used to pricing work on a weight basis, now they have to transition to a volume or cubic meter price and a better way of doing things? So that’s your challenge – getting them to see the opportunity and overcome that slight administrative hurdle. Paul: What a lot of contractors do now, when they are pricing the job – they price on weight and put a large ‘fudge factor’ in there – a contingency price and margin for error in weight. 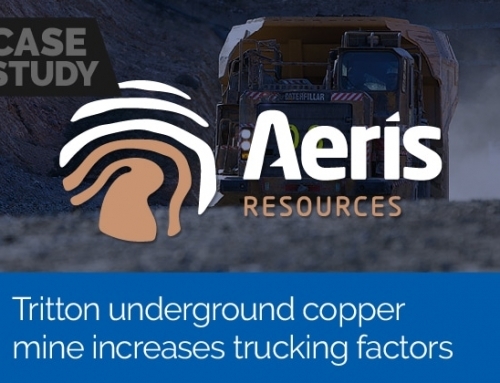 For example – say they know they need 20,000 cubic meters of aggregate for their project but they are going to be supplied in tonnes from the quarry – so they need to double the amount they need in tonnes in order to get the correct cubic meters. So it’s a guessing factor. Now we are saying to them – if you use LoadScan – you can order 20,000 cubic meters and you know you are going to get precisely 20,000 cubic meters. Sally: How are you going to affect this change in the ‘way things are done’ for both the trucking companies and the contractors? Paul: We sat down with a contractor yesterday, and he shared with me that he uses quite a large fudge factor when he’s estimating, which using LoadScan would eradicate and he recognised that would make his tender more accurate and pricing sharper. He knows that if he goes down the LoadScan path, he’ll have to tell his trucking contractors that their pricing needs to shift to cubic meters – which means their pricing would change in terms of how it was measured and would become more accurate – so he wouldn’t get charged for additional loads, or loads under capacity as he normally would. His trucking company would have to adjust their rates to supply on an accurate cubic meter basis. The trucking companies mightn’t like it to start with, as they will only get paid for actual cubic meters delivered and not fudged cubic meters. However if they know the LoadScan system is going to be used they will adjust their rates accordingly. Nobody wants truckies to lose out. They need to be profitable. It’s all about communication and being fair. Richard: Most truck and dogs work on a 24 cubic meter rule in Brisbane. The trucks capacity is 26 cubic meters, most allow for a loss of 2 cubic meters – so they cart everything based on 24 cubic meters. In actual fact, what contractors are being delivered is most probably around the 19-20 cubic meters per load. So the civil contractor is out by 15-20% – so he adds a ‘fudge factor’, knowing he’s going to be out, to every job and that’s the way it’s currently costed. You can see the potential for savings given LoadScan can completely remove that margin for error – we’re talking potential savings of 20%. That’s huge over the life of a large project. LoadScan just takes the guess work out of the equation and ensures you get exactly what you pay for if ordered in volume. Sally: So does anyone in the supply chain lose out here? Paul: No, not at all. Everyone gets fairly remunerated for their supply but it’s transparent. The trucking companies adjust their rates to get the same result. The contractors don’t want the trucking companies running at a loss, but they don’t want to have to keep paying overs for the supply of product to ensure they get the exact right amount. The price per load doesn’t need to change – the civil contractor just gets a guarantee of the volume. Provided there is consultation – no one will lose out. Sally: So given there is a little education piece here – how do you intend to partner with the industry to make sure everyone gets the message and understands the benefits of transitioning to this system? Paul: Well, we are working with everyone at the moment. We’ve recently joined the CCF across Australia and our first challenge is to get everyone to understand that a volumetric scanner exists, then we need to get them to understand that the small amount of time and buy-in needed to change business practices when estimating jobs – but the outcome will be way better for everyone. Richard: We’re also doing demonstrations and trials on job sites. We’re happy to come to any job site (within SEQ) and demonstrate how it’s used and employed on a site situation. We feel confident that our product benefits will speak for themselves. We’re willing to install it for free for 2 days on a suitable site and prove it up. Sally: So where do you see this heading over the next couple of years? How long do you think it will take to transition the industry away from a weights measure and to a cubic meter measure. Paul: We expect that within 5 years, everyone will have one of these scanners on a site. 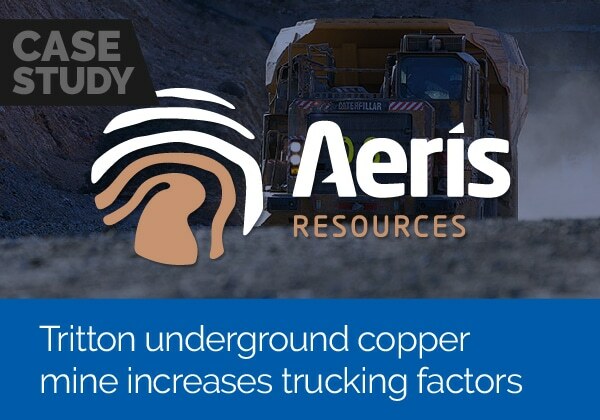 It’s already happening on sites all across New Zealand – where the technology was developed, and its slowly transitioning the industry away from this weights measure dependency. For the meantime, I think contractors will use both. Sally: In terms of technology adoption – who do you reckon is going to pick this up first? Paul: Well, the smart quarry owner for example:- the first one that transitions their quarry to this method and says to the market that ‘I will guarantee you cubic meters accuracy’ will have the jump on everyone else, I reckon. Richard: But the benefits for the contractors are undeniable, and given the competitiveness of contracting in Australia at the moment, the necessity for accuracy at tender time, and during delivery of big haulage projects will drive change. It has to. Sally: You’re right about contracting being competitive at the moment. Sometimes, we’ve noticed a tendency for contractors to shy away from implementing new technology in this market given how tight things are. There is a huge trend towards cost compression in contracting businesses. Contractors don’t seem to have the interest in implementing new technologies that have a high upfront investment – even if it will save them a lot of cash in the long-term. Paul: That’s the thing though, there is really no upfront costs. You can hire LoadScan and rent the unit and we’ll come and do a free trial before you do. So no initial investment, just a little time in engaging with their haulage or trucking companies to ensure their buy in, a tweak to how they are pricing their jobs and their away. Any cost associated by LoadScan is offset so significantly by the accuracy that there really aren’t any barriers to contractors implementing this. Richard: If you engage us for a trial – we’ll show you the savings, we’ll demonstrate the difference to you and your trucking company. Hard numbers, real statistics in a real life setting and the savings borne from accuracy will be difficult for anyone on either side of the fence to argue with. You can’t manage what you can’t measure. iSeekplant is a plant hire search site that connects people who hire plant for earthmoving projects with the companies who have the right machines in the right locations.